Step in to the World of Virtual Reality Production. 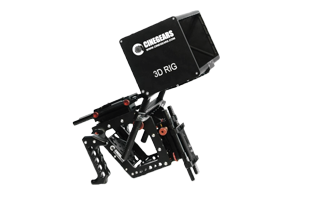 Cinegears is a leading manufacturer and distributor of 3D & VR equipment, from 3D stereoscopic rig adapters, to fully customize-able VR Rigs,to head mount display technology. We are dedicated to providing a level of quality and functionality that exceeds the products of our competitors, with performance guaranteed by comprehensive customer support and warranties. 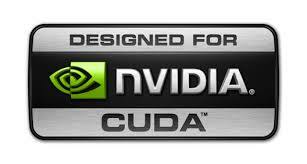 feel free to contact us at any time and our knowledgeable customer support staff will be more than happy assist you. 2 x V or AB quick-release battery mounts. 6 x built in temperature regulating fans. 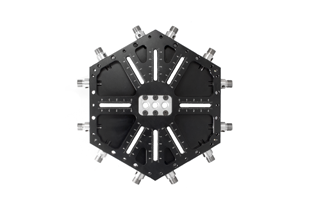 The Cinegears Hex Mini Adjustable VR 360 Camera Rig System is designed to be the nexus of your virtual reality production. The unibody design constructed from aircraft-grade aluminum will hold strong with up to seven (6 horizontal, 1 vertical) cameras, such as Black Magic Studio Mini, Panasonic GH4, or smaller. Connect your 3DVR Player straight to your computer or other devices with our USB cable. 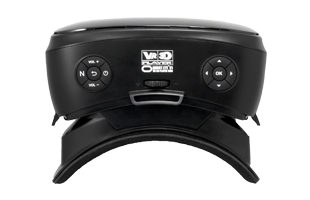 The HMD lens on the VR3D player can be easily replaced with a simple twist on and off. 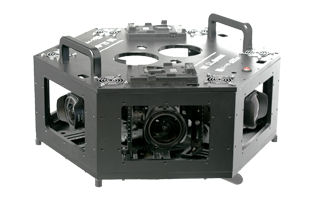 The Hex VR boasts exceedingly high-end resolution and frame rate capturing capabilities with a minimum of only 6 cameras, drastically lowering the price tag and weight without compromising the quality of the film. Mounts for 8 adjustable L-brackets for the best customization. Allows for housing up to 16 cameras. Circular center marker for professional-precision adjustments. Can be used as a stand-alone unit. The removable HMD face padding provides and extra layer of comfort when using the device. Material Airplane-grade CNC-cut aluminum alloy. Configuration: a Mattebox, backhoes*2, a 3D sync follow focus, a 7-inch 3D monitor, a shoulder pad, a 3D synchronizer, side handles, two pinch plates, an aluminum case.